Humankind have been to outer space, but they’ve yet to reach the bottom of the ocean. Omega is on a mission to reach the “Deep Black” of the aquatic abyss, with this new variation on their “Seamaster Planet Ocean” timepieces. 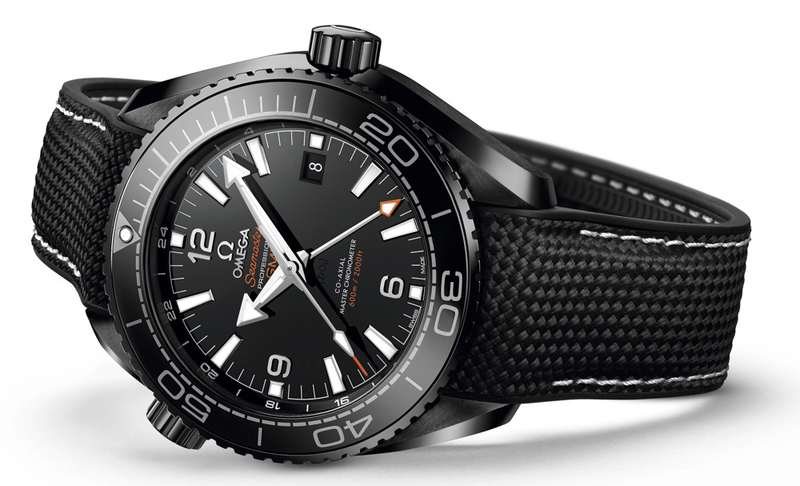 Omega manufactures have combined a GMT model with a diving watch and birthed a new unique collection designated the “Deep Black” model line. 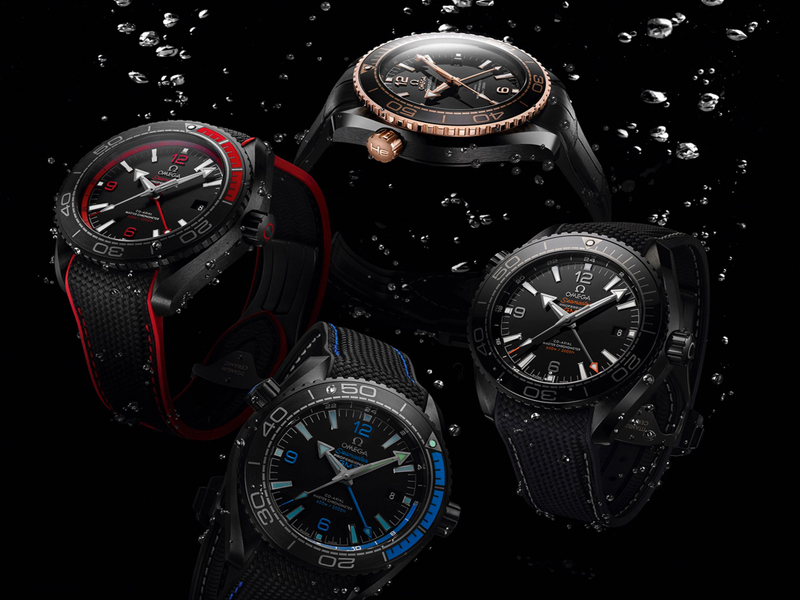 The next step in the evolution of ceramic watchmaking, after what was accomplished by Omega with the “Speedmaster Dark Side of the Moon” is here, in the form of four impressive new “Seamaster Planet Ocean” timepieces. 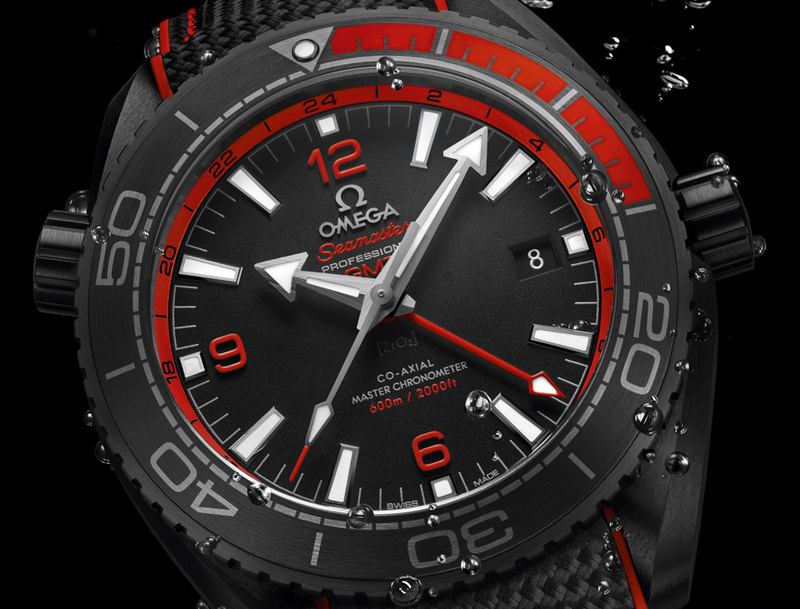 It was quite a challenge to produce a diving watch made entirely from ceramic, which could resist the pressures of the sea at depths nearing 2000 feet. But, Omega has accomplished just that. The 45mm case here is crafted from a single black ceramic mono block, as well as the bezel and dial. While a rubber/ceramic blend make up the unidirectional rotating bezel, which has a trademark Liquidmetal or Omega Ceragold coating over the diving scale. The first 15 minutes on the bezels are also highlighted for enhanced legibility. The doomed scratch-resistant sapphire crystal has anti-reflective treatment on both sides. 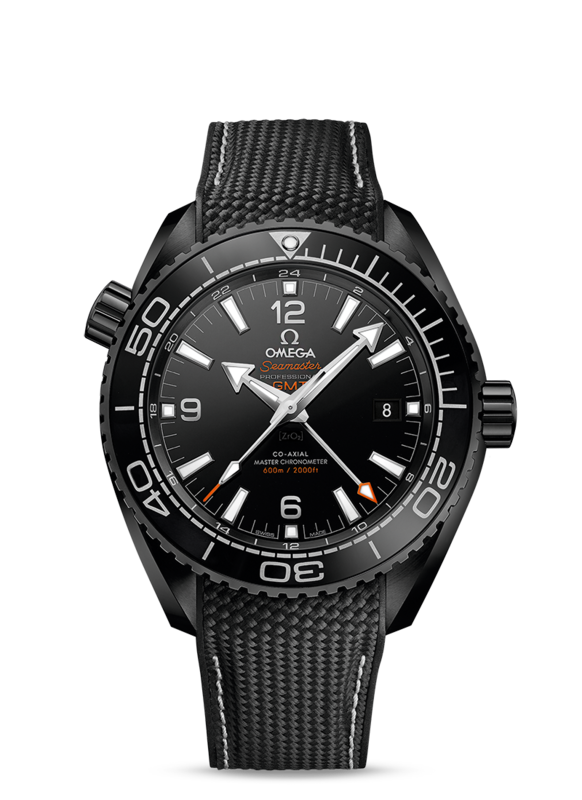 This watch also showcases the first-ever oriented caseback by Omega and a patented ceramic “Naiad lock” that makes sure the engraving remains perfectly in place, with peripheral alveoli for easy tightening using a dedicated tool. 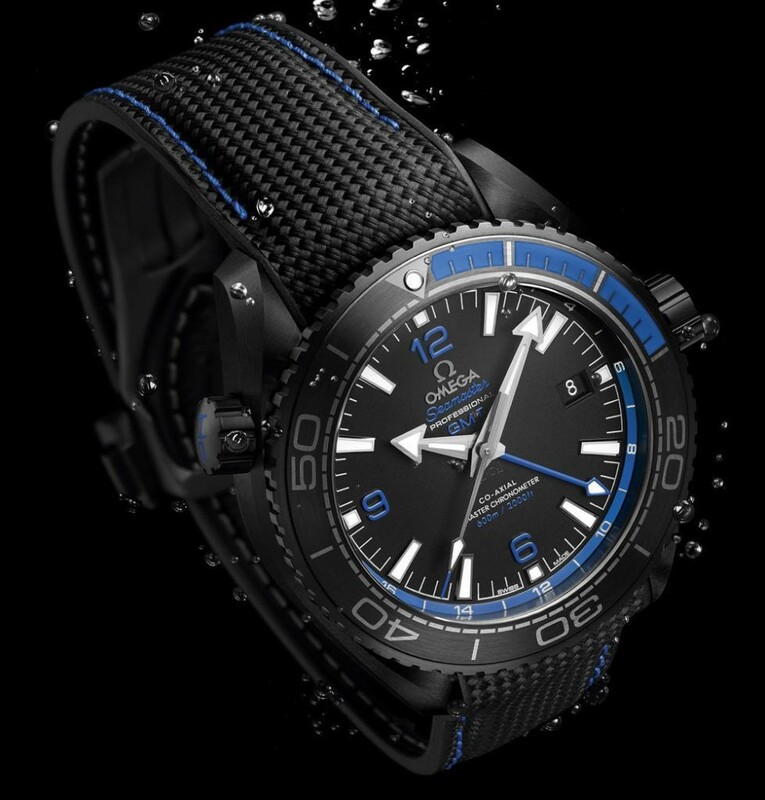 The timepiece also has a screw-in crown and there is a helium escape valve located at the 10 o’clock position, which all assist in its water-resistance reaching up to 600m (1968 feet). 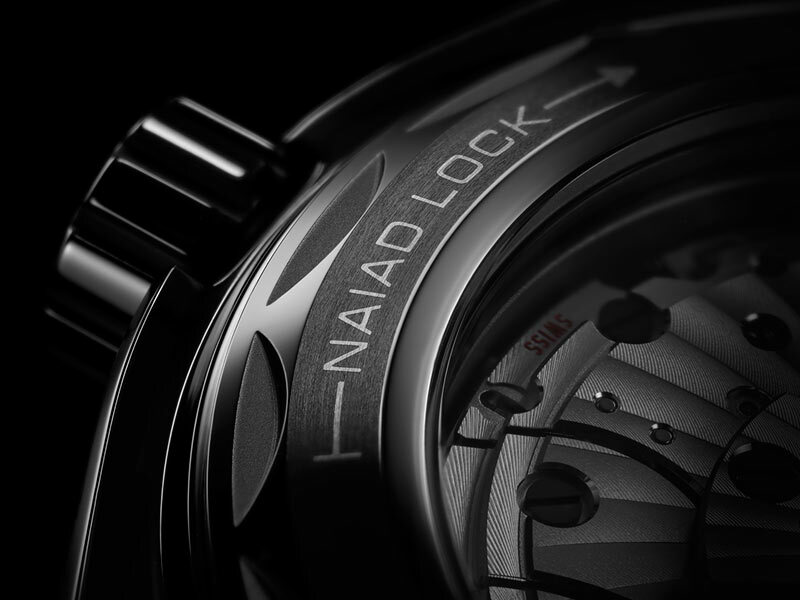 Thru the exhibition caseback we can gaze at the inner working of the movement and its special luxury finish with rhodium-plated rotor and bridges with Geneva waves in arabesque. 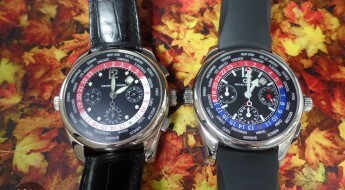 There are more distinctions between these timepieces besides their secondary color-schemes. 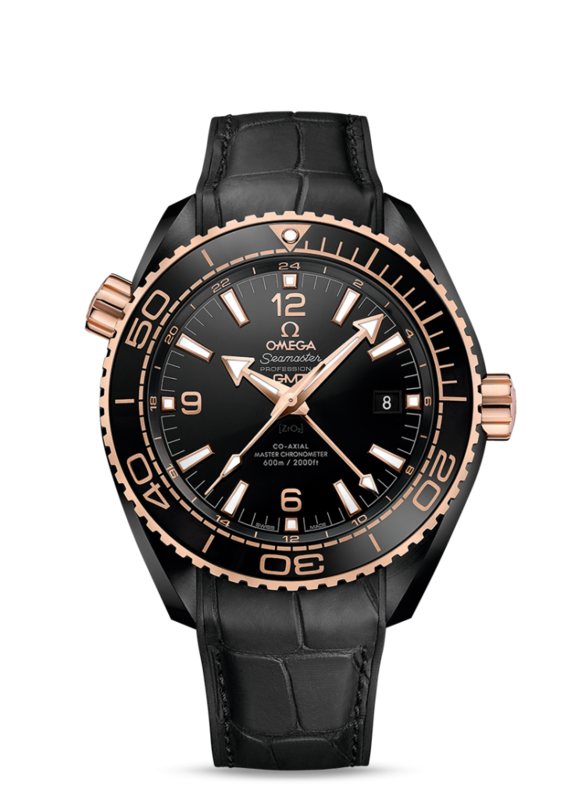 The black and 18k Sedna gold models have had their ceramic cases and dials polished for a glossy effect; and Liquidmetal has been used to make the He-symbol on the Helium valve and Omega logo on the crown. While the blue and red versions have had a brushed finish for a matt effect, which offer a better visibility underwater; and the He-symbol on the helium valve and Omega logo on the crown for these versions have been colored using a rubber injection. In essence you can divide these four versions in two pairs. 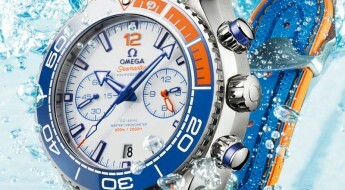 The blue and red models with a brushed case are more professional with superior legibility underwater. 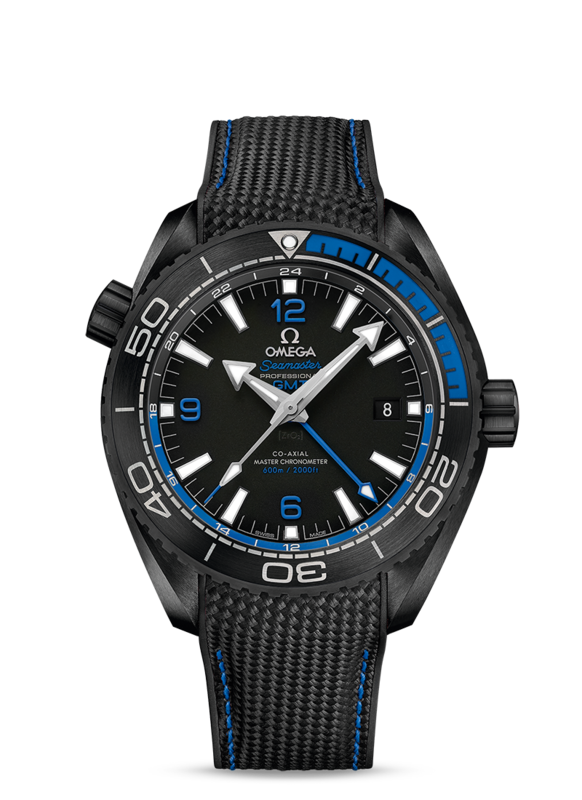 When diving as one descends the red lume disappears at around 5 meters, while the blue is the last color to remain visible up to 275 meters. 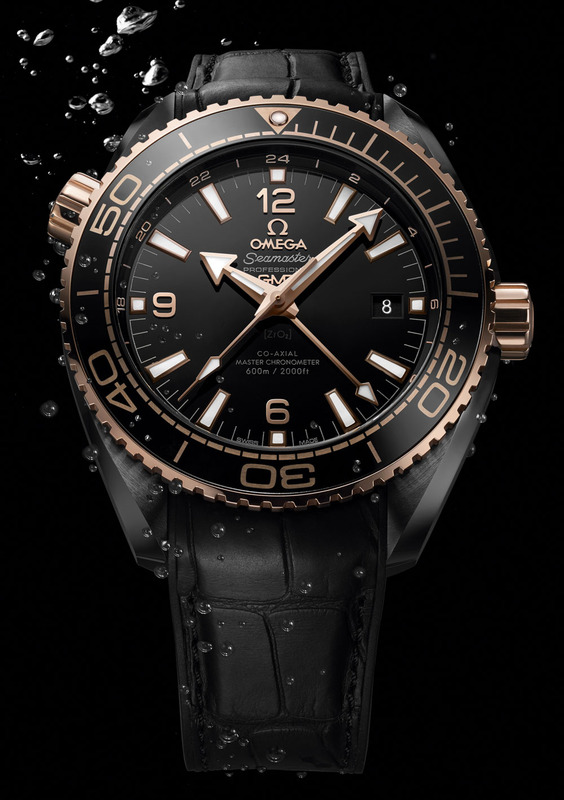 And while the other versions are also equipped with same water-resistance; the overall black and the 18k Sedna gold models may be more focused on staying on the ships deck. The predominately black dial exhibit the 6, 9 and 12 Arabic numerals. While its hands and hour index markers are made from 18k white gold (except for the 18k Sedna gold model that uses that same material for its hands and hour index markers) and are coated in a white SuperLuminova coating that emits green and blue colors. 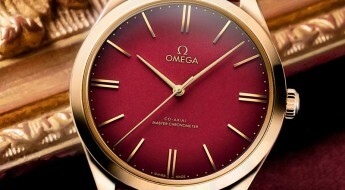 A second time-zone can be read using the 24-hour scale on the flange and a GMT ring around the dial, pointed out by a fourth hour hand (matching each versions specific differentiating color) and there is a date aperture located at the 3 o’clock position. 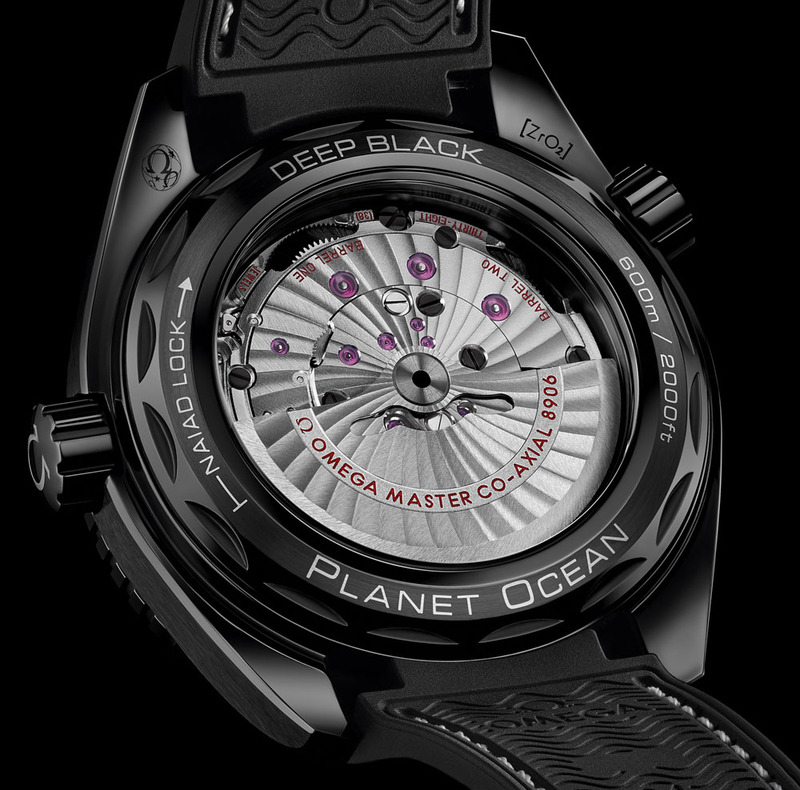 These “Omega Seamaster Planet Ocean 600M Co-Axial Master Chronometer GMT Deep Black” watches are powered by a self-winding mechanical movement, caliber 8906, with 38 jewels. This movement is also equipped with a magnetic-resistance up to 15,000 gauss, attributing this watch with a METAS and COSC certification. Power reserve on this timepiece can last up to 60 hours. 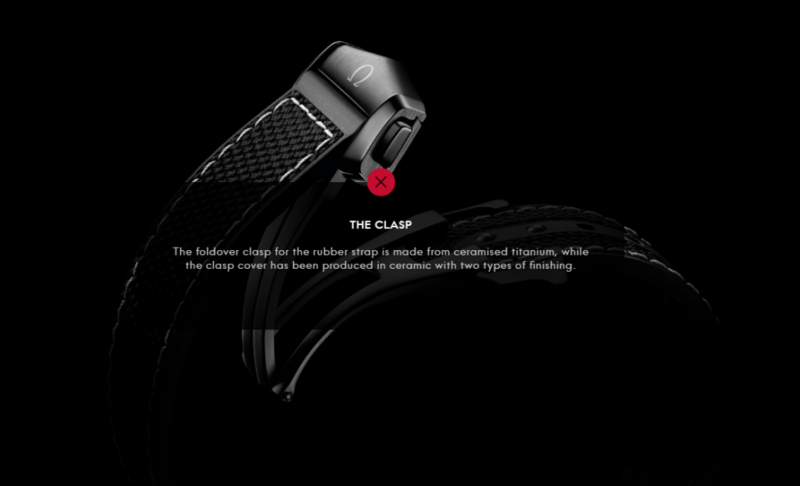 Mounted to these watches is a black strap, with a folding-clasp made of ceramic-covered titanium. The straps for these timepieces were designed to appear being made of fabric and they’ve been treated with an anti-bacterial coating; except the Sedna gold version which has been issued a water-resistant leather strap.